Today, we spoke of laws, the pillars on which to build your artistic and musical personality, this time we have to roll up the shirt because I bring a series of combat tactics to multiply your followers on Soundcloud, with osme simple steps. If you follow these steps in a few weeks you'll get a handful of followers and friends, requires a little effort so read the post, put the batteries, follow the steps and get followers on Soundcloud. It sounds obvious but people often begin to follow people like crazy without any criteria, this is not good, start with about 100 people, or at most 200. Use this group of people who still as the core of your group, later as you get your social network concocting musical will be more focused if you keep 100 people that if you follow 600. Moreover, we will close over the circle, among those 100 followers choose 20 or 30 where you're really interested in Soundcloud plays and whose music itself is important to you. Listen to his songs, he starts commenting to bookmark and give the like, be honest, just say that you liked something you have really liked, if something did not like you just do not tell, do not give the like and not agreed to favorites. LCF call in Anglo-Saxon language, Like, Comment and Favorite, also applies to English: Like, Comment and Favorites, this will be your routine and the base of the community who are about to create regarding your account soundcloud and your name / presence as an artist. If you are not willing to waste time with routine LCF had better give up on getting followers on Soundcloud. You just can not give likes like crazy waiting for you to make one like it back, you should know that the number of people you can follow him on soundcloud is limited, 2000 at the latest, which suggests the following question; you be willing to settle for just 2000 (with luck) soundcloud followers ?, I bet you do not. Prepare a few issues before starting your routine LCF, do not start just one. Note that when you get a person to do one like back in soundcloud is likely to go to your profile, in most cases, will be the only time you do so entertains your guests with a good selection of your music, you can also give some, or all songs, remember the post last week . Start making your core fans do on soundcloud from there, if someone becomes a follower of yours on soundcloud, Give back the follow gradually get a group of people around the world that you will follow with you, with the point common of your love for the same kind of music. Or people you know who have just online either because you've seen recently published a comment or you've seen some activity in your profile. Before there was a green dot indicating someone was online, seems to have been removed in an update of soundcloud. Read some helpful tips to promote your music on soundcloud. 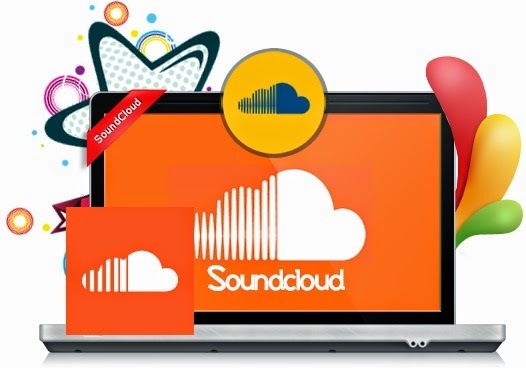 The first is that there are many soundcloud users whose accounts are in use, follow no good and is not productive, focus on active users, do not waste time with inactive or less active users whose answer is not going to produce a reasonable period of time. Just keep people tending to return the follow. Follow followers, this is the norm, since it is what you are looking for; followers. How can I know who I will follow back? Very simple, if a person continues to 900 and 200 he still is very likely to follow me after giving me follow. If instead the individual is at 100 and he followed 1000 users most likely not return my follow. Easy, no? When someone follows you start your routine LCF in your profile. You will see immediately that routine follow LCF followers and make their songs will earn followers, listeners, comments and likes on your profile soundcloud. The tactic is simple but requires effort and dedication. That's amazing!! I just love HARTHEIM even now, I used to hear their albums. They are totally impressive. SoundCloud is such an awesome platform.